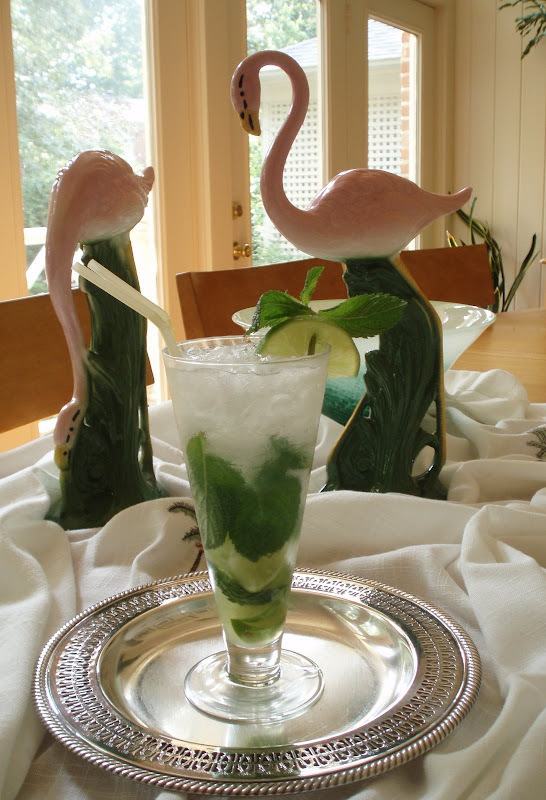 Some say to use lime juice (rather than lime wedges), to use confectioner’s sugar, that simple syrup is best, to crush the mint leaves to smithereens (yuck, they come right up the straw and taste bitter). I've tried most of the options, and I think I've found a nice balance -- one likely to please and impress your guests. Dang, I wish I'd planted some mint this year. My son is a bartender.... I know I'm so proud of his college education. I can't wait to give him your recipe. I'm sure it will be a hit! They actually have a few mint plants growing outside the restaurant. Someone planned ahead! Bill, I love mojitos...they aren't too sweet and not to sour...just right. I especially love the smell of the mint...perfect for this HOT weather we're having! I will definitely try this recipe! Thanks! What a wonderful refreshing drink. After the heat wave we've had today sounds super good..